Zuma was meeting with vice-chancellors from all universities at the Union Buildings. 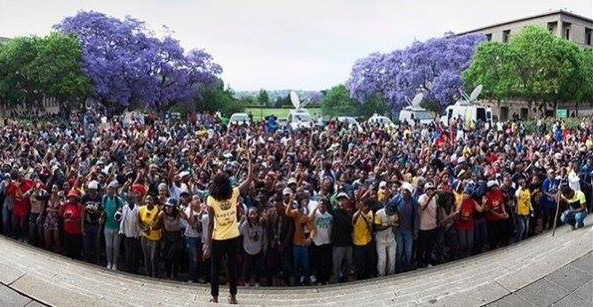 Outside the Union Buildings, thousands of students gathered on the lawns of the president’s offices. The Union Buildings is the seat of government. It is the ultimate symbol of authority in South Africa. The sight of thousands of students besieging this symbol of power will reverberate throughout South African society. Yesterday’s scene of thousands of students marching on Luthuli House – the headquarters of the African National Congress – is also epoch-making. It has never happened in post-Apartheid South Africa. This represents a major victory for the student movement. But it is only a first victory. The struggle for free education and guaranteed post-graduation job placement continues. But it goes much further than this. What we are witnessing is a new generation of revolutionaries who have shown they have the resolve to fight against the system of exploitation and oppression. In the best traditions of the revolutionary South African masses, these new revolutionaries have taken the bull by the horns and shown incredible strength, resolve and a willingness to fight until victory. It will not be easy to push the genie back into the bottle. 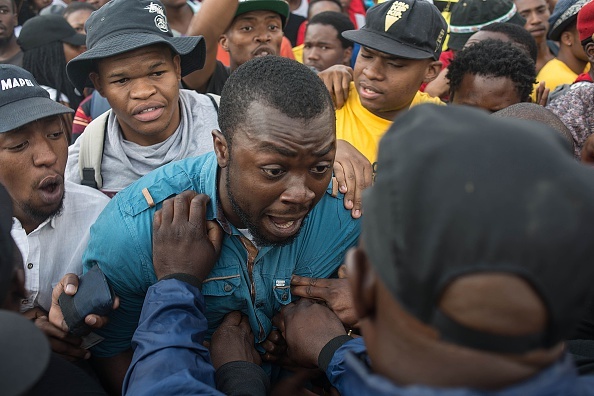 In recent years, one event after another has shaken South African society to its foundations. This turmoil signals the early winds of the brewing South African socialist revolution, which will shake the entire world to its core. Journalist Ben Morken, based in Springbok, Northern Cape, South Africa, can be reached on Facebook. This story first appeared on Marxist.com. Yesterday, at the height of the conflict, Amandla.mobi wrote: “We’re receiving reports that riot police are being sent to campuses across South Africa, despite students being unarmed and non-violent. “People power rose up and was met with the brutality we saw before the Marikana Massacre in 2012. South Africa’s leaders talk about a demilitarized police that protects people, but unless we act now and stop police officers from using live ammo, provoking and shooting students, choking students, and threatening media and students for taking photos and videos, more students will be injured and traumatized by a brutal police force. “How long before we have another Marikana? We know the brutal R-5 assault rifles that gave police license to kill miners are still used by police for crowd control. This despite experts testifying at the Farlam Commission of Inquiry that such guns have no place in crowd control and give police license to kill, as the bullets tend to disintegrate on impact, meaning police can’t be charged as the bullets can’t be traced. Yesterday we heard calls for a Parliamentary debate on police crowd control. That’s why public pressure is critical. We know that history has been shaped by people power, that’s why so many of us are part of the amandla.mobi community. Together we can defend the right to protest. Your site is covered with many informations and also helpful other. Good one article you have shared thanks for sharing. It is a good decision made by the President Zuma for the better future of the students who can't afford this increase in their university fee. We all need to create possibilities for these students so that they can have a better standard of education that will produce quality professionals. It will definitely create about something good to their own attitude as there has been more things to be discussed, so one must needs to put his best effort to understanding about such facts and values. Here we are sharing an easiest and straight way to clear cache in windows 10 operating system. following these simple steps will help you to clear cache and temporary files on the system. this will be help to access secure website in without any interruption.